For this months report will start in Africa. This area is growing and has the potential to grow rapidly. Our church is working hard in Africa to heal wounds. The church is pouring many resources into this region, but there is a need for more pastors. “What I can see now is that there’s a big change” in the church members there. Adventist Fellowship in Rwanda Africa.We are doing well here in Rwanda. Let me show you my work plan for this year. 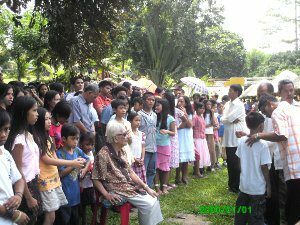 We had a crusade last MARCH where we had 25 precious souls who were baptized. On June 15, I will have another crusade and another one in July and in August also. 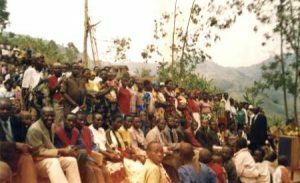 I will have other crusades so please pray for me and for the work here in Rwanda. 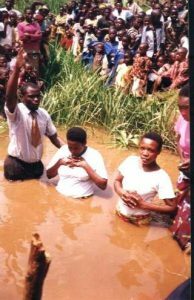 To send pictures is not easy for me because I need a digital camera.Adventist Baptism in Rwanda Africa. If you want, you can also help me with this so that I can send pictures easily. The salary you have sent I tried to find some food for the children who have no parents. The salary helped me so much. In your prayers, please ask God so that I may have intelligence in reaching the people. I think that the salary will help me in the crusade in June. map where Mountain View College is located.On this map you can see Bukidnon. This is where Mountain View College is. There are several mountains between there and this field school. Grace be unto you! At last we are done with our Field School at Kidapawan City. We were there for more than a month giving Bible studies, offering prayers, encouraging brokenhearted people and caring for the sick. God is so good that even while we were doing this ministry rain or shine, visiting our Bible contacts using our bicycles, my partner and I did not encounter sickness. But just after the baptism, we felt weak and have hard cough, headache and colds. 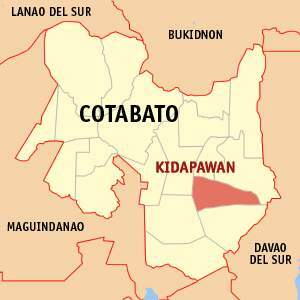 But then Adventist ministry touched 112 souls in Mindanao.I will say, “Praise the Lord!” for the huge success of our ministry in that city. God touched 112 precious souls who were so receptive to the word. The Voice of Truth blossomed in the city. While working, I firmly believed that your prayers strengthened me. As I saw tears running from the eyes of our Bible students who were so thirsty for salvation, my immeasurable joy burst within my heart. Thank you for the support and may God be with you always. 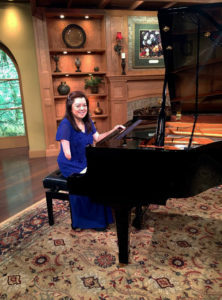 Attached in this letter is the photo during baptism taken last May 2, Sabbath morning. I thank all of our sponsors for your prayers and financial support. 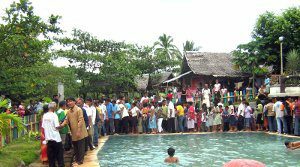 Results to many baptisms of the evangelism of Adopt a Minister. These are the 47 precious souls who accepted Jesus Christ as their personal Savior through baptism. It is a little bit delayed because I am far away from the town were the Internet Café is located. Anyway I have my second district crusade this coming July, 2009. This means that our work in evangelism is still continuing and alive. God bless your work together with Mary Grace and all the members of your family and all the sponsors of Adopt a Minister. We will see each other in heaven soon.